Here's a "Hollywood Minute" for you. Ever wonder what the Tonight Show would have been like if David Spade was the host and Chris Farley was in the Ed McMahon chair. That cannot happen because Farley is dead. I mean Spade and Johnny Carson are both "widdle guys". The next best thing could only be happening at a time when no night can go without a political discourse. 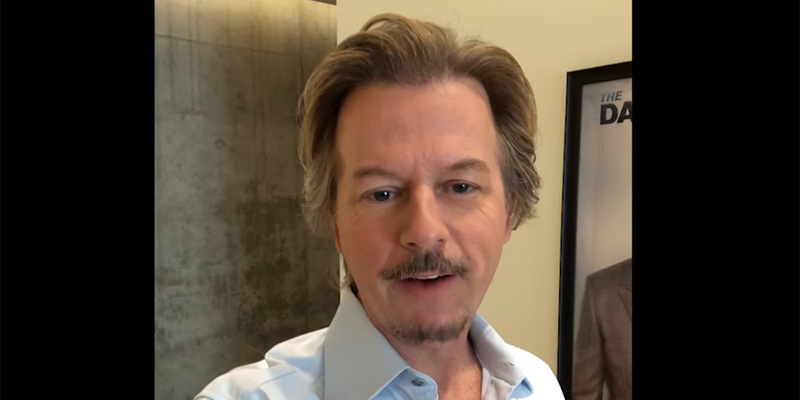 David Spade will be broadcasting four nights a week on Comedy Central following The Daily Show in the 11:30p.m. time slot (Tonight Show time). The show promises not to talk politics, will have strong language, and it is up to you to be fooled by David Spade. The yet to be titled nightly series will have field segments that mirror Spade's Instagram stories, celebrity and comedian friends, his take on daily pop culture news of the day, and will start later this year. The show is executive produced by David Spade, Alex Murray, Marc Gurvitz. Brad Wollack and Tom Brunelle of Free 90 Media serve as executive producers and show runners.